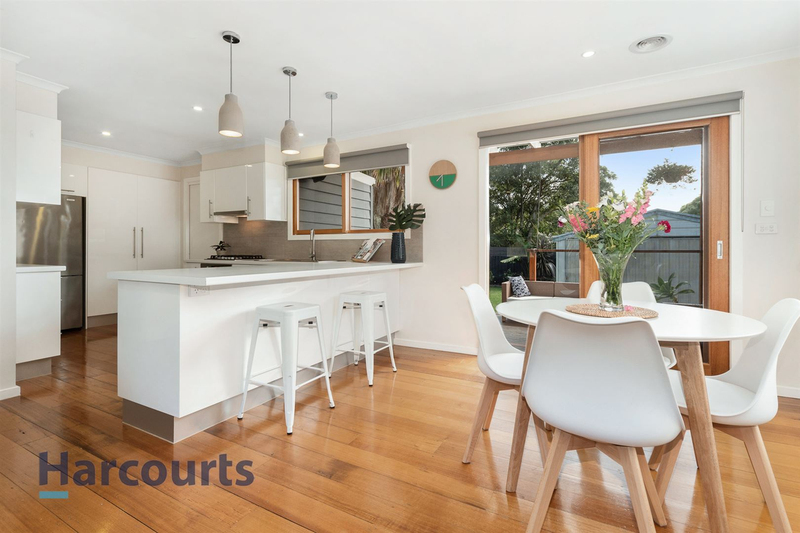 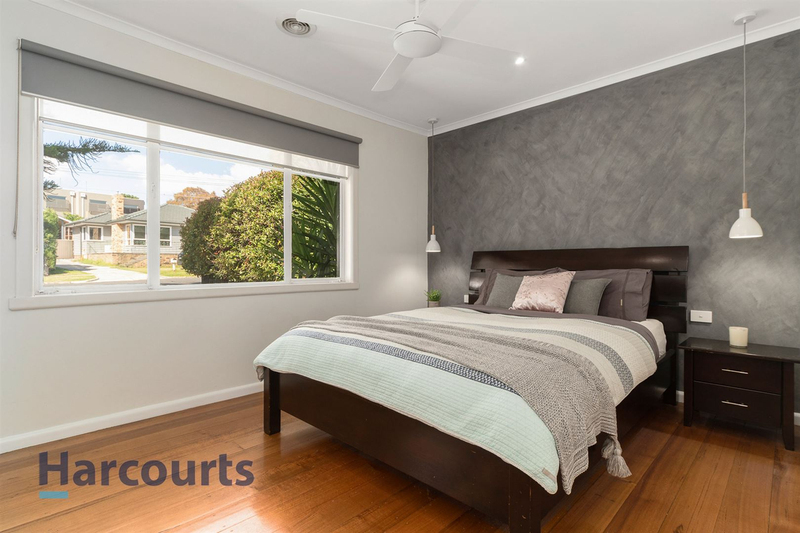 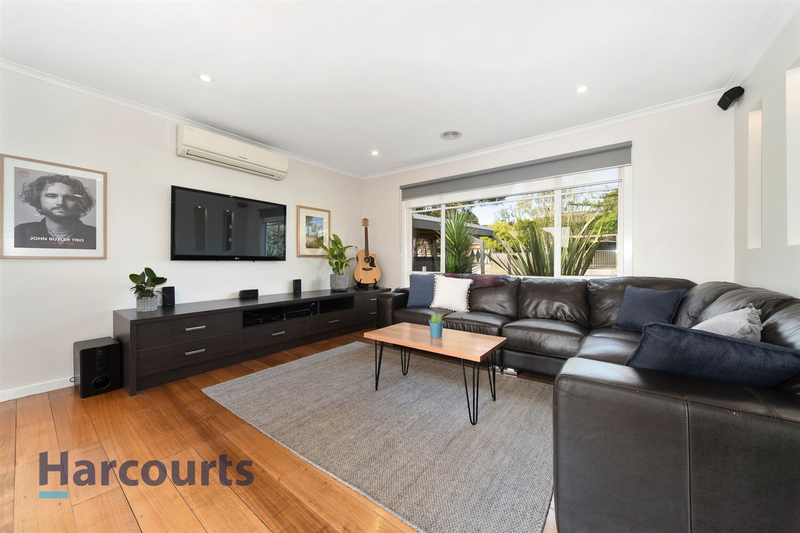 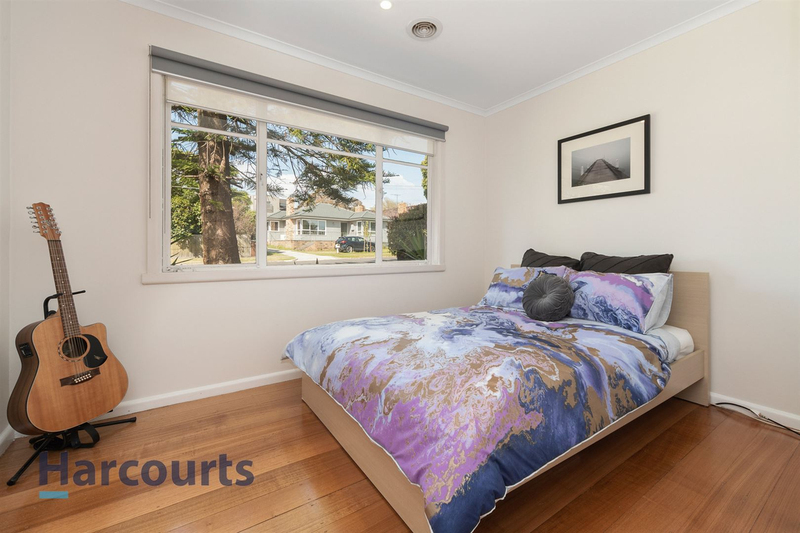 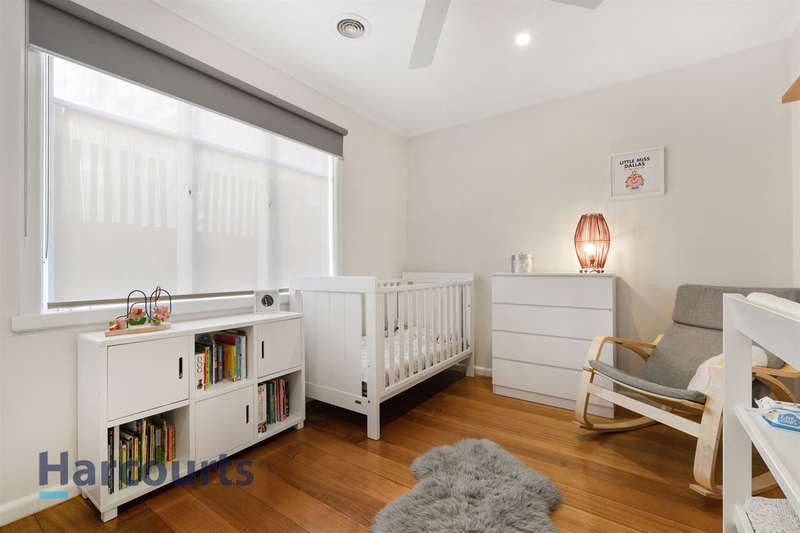 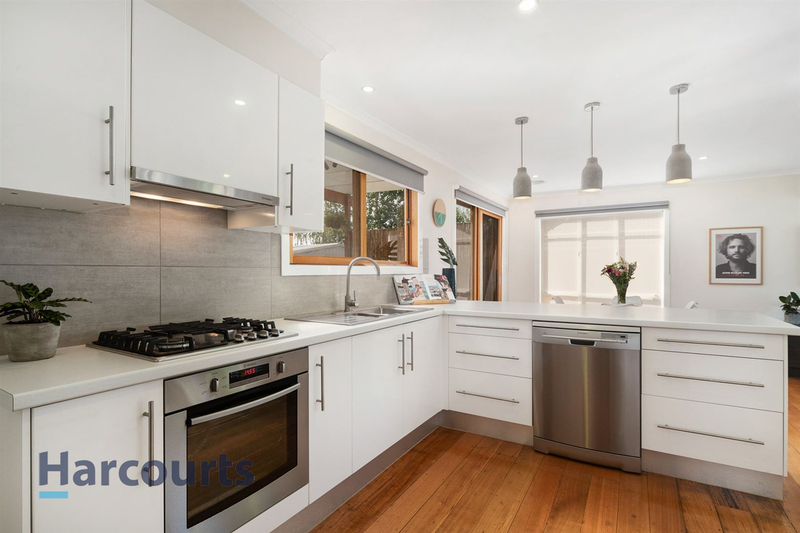 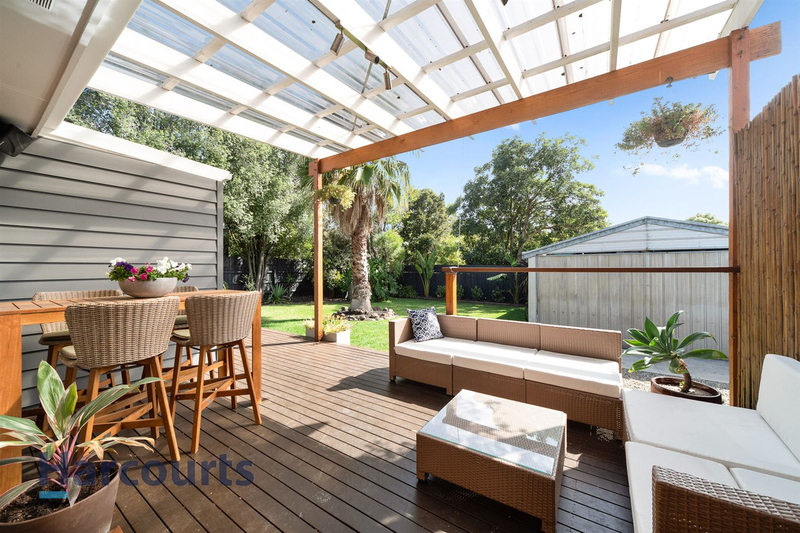 A short walk to Frankston High School and bursting with charisma, this renovated weatherboard beauty is a jewel in the desirable Frankston High School Zone. 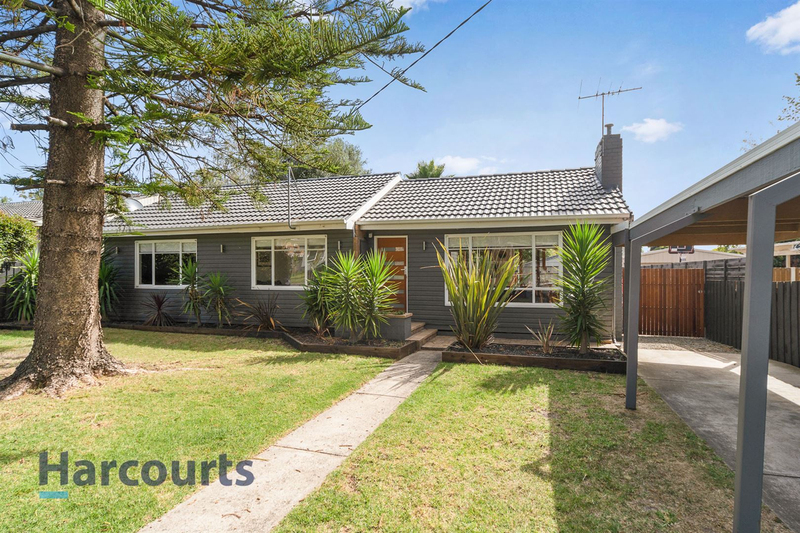 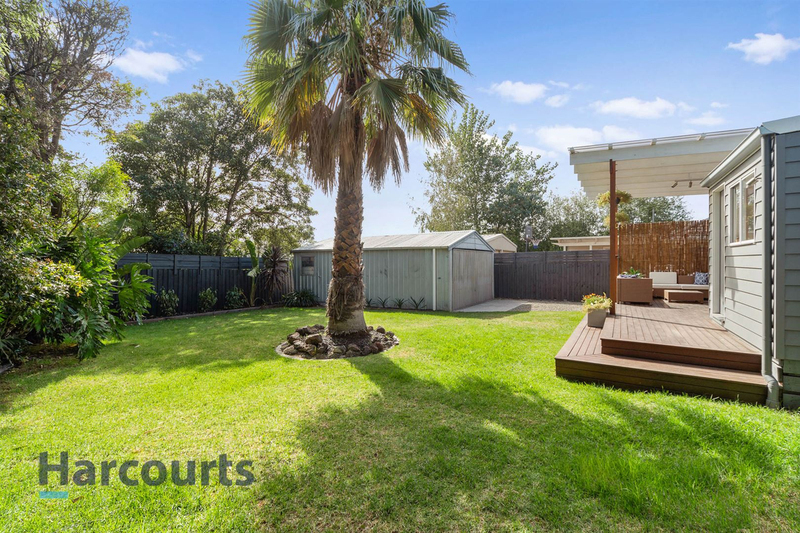 This is a home with heart on a 608 sqm (approx) allotment featuring a generous back yard and a quiet setting in a premium crescent. 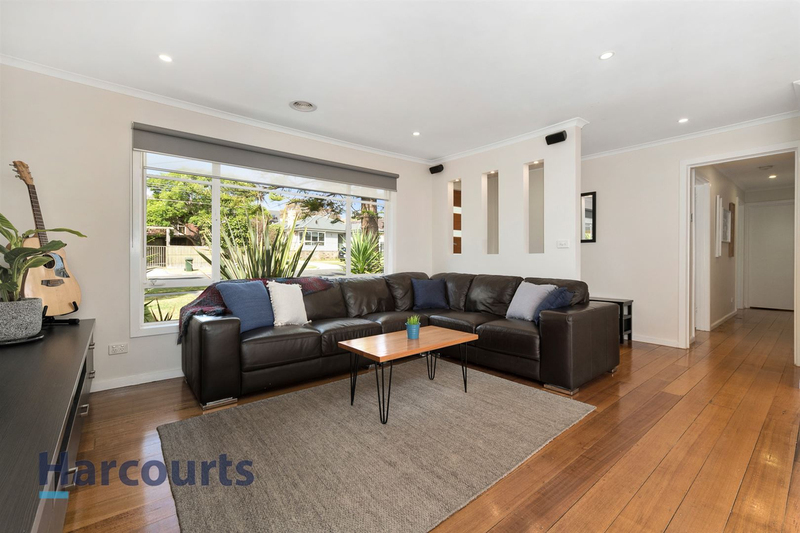 Walk to the Tower Hill shops, Overport Primary School, reserves and bus stops and meander to Monash University, Frankston Station and Frankston's medical precinct with ease. 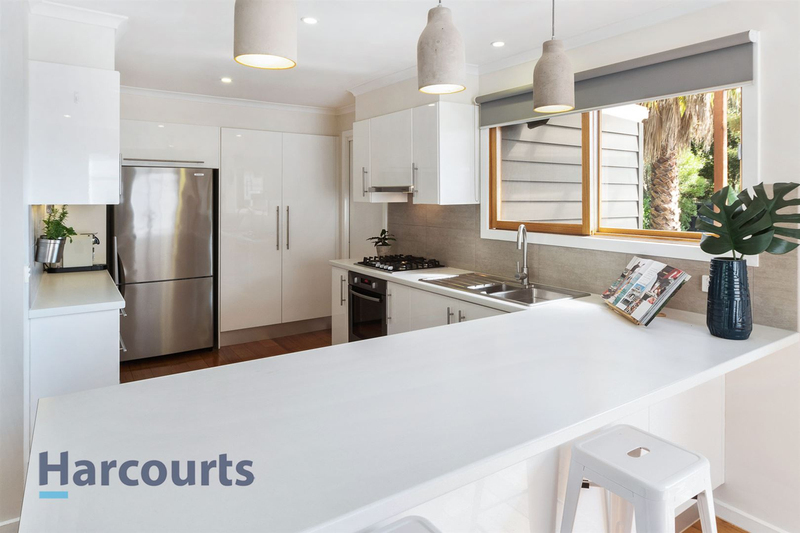 A disarming single-level façade belies the modern makeover within, where sparkling bedrooms with built-in robes share space with a deluxe double-vanity bathroom and a stylish kitchen dressed in stainless steel appliances. 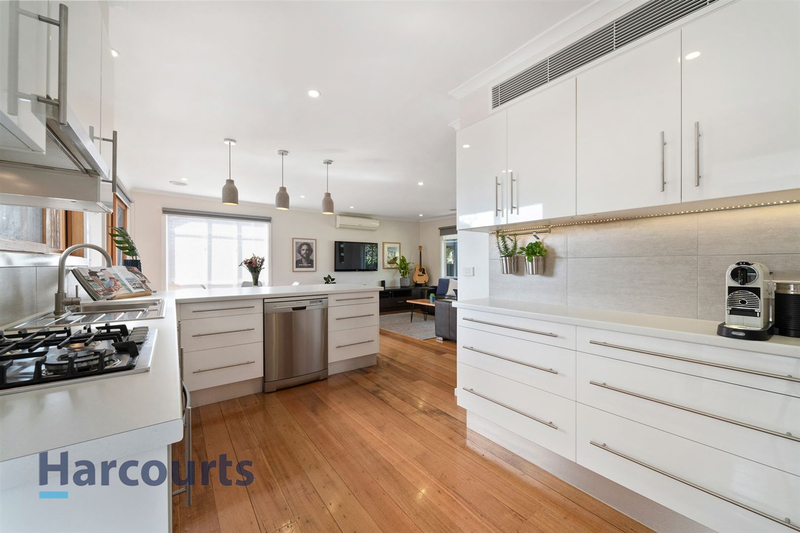 Polished original hardwood floorboards add elegance and warmth to easy, breezy light-filled open-plan living featuring timber accents and feature pendants. 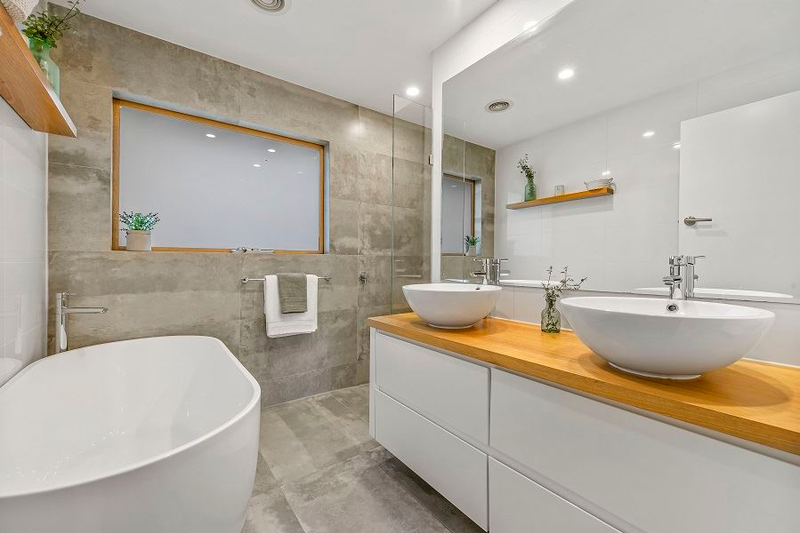 Bathe in style courtesy of a freestanding bath tub and a walk-in shower framed in floor-to-ceiling tiles. 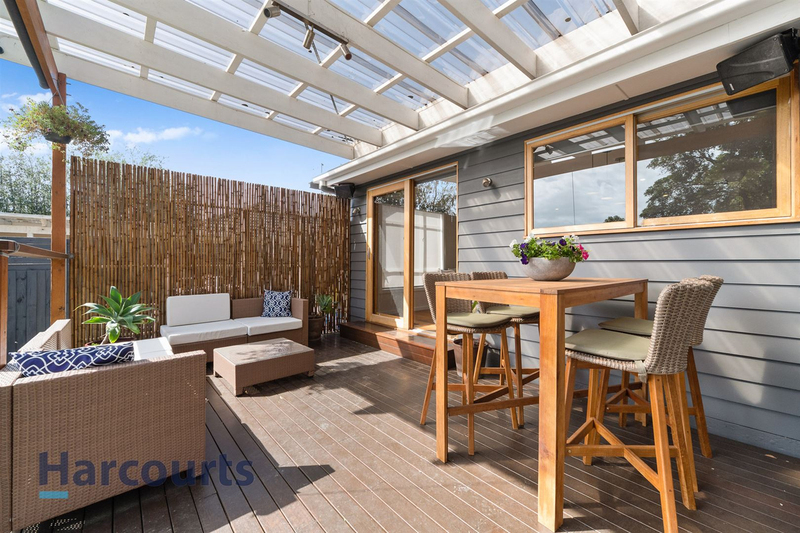 A covered alfresco deck adds entertaining allure and the ability to dine alfresco while watching young children play safely on the lawn beyond. 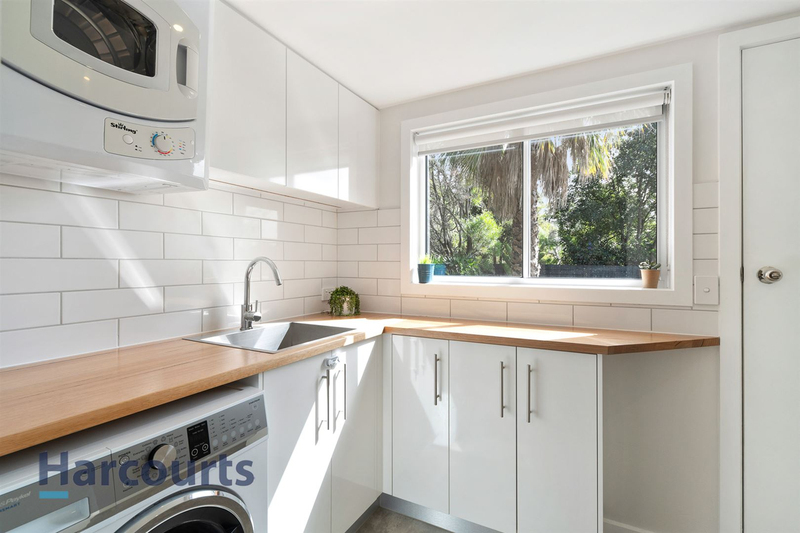 Other appointments include ducted heating, split system air-conditioning, carport, a gas cooktop, a garage at the rear behind a side gate, solar panels, a garden shed, ceiling fans and a generous setback from the street. 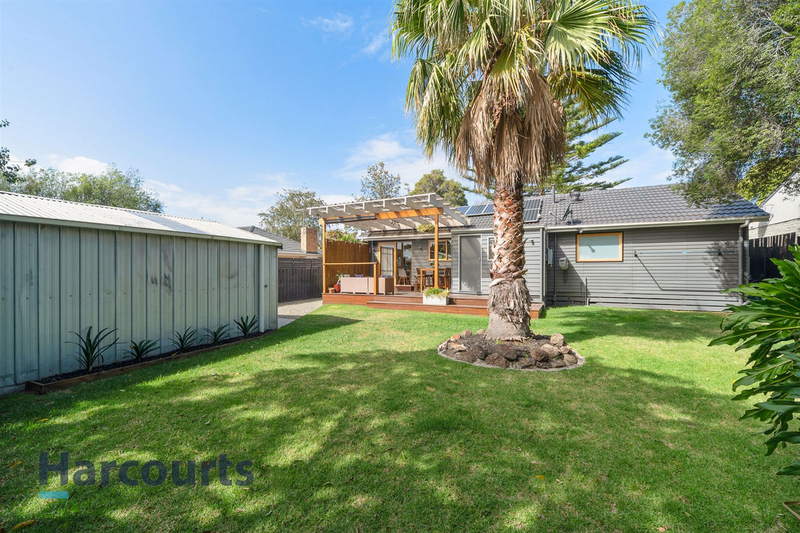 This is a lovely place to call home 5 minutes' drive to the Frankston Waterfront, within easy reach of Peninsula Link and a world away from the hustle and bustle of life.